After looking at some iconic fashion magazines, I see that the jewelry trends for this fall are small pretty rose gold items, layers of thing rings , skinny cuffs and petite pendants. Though tiny in size, these accessories make just as much of an impact as last season’s larger- than- life statement baubles :). And as the most precious gifts come in a small boxes, the delicate dainty jewelry pieces are a key to complete your trendy look. Keep it simple. Keep your accessories harmonious. Mix it up. Mix colors or the gold, mix cuff and bangles for the layered bracelet look and maybe finish it with a statement watch. Make it meaningful. Highlight one or two areas only. 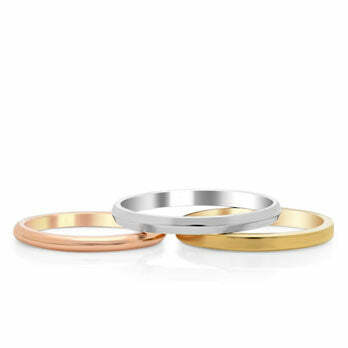 For example, put a few diamond bands on one hand and a larger ring on the other or spread out one band on each finger , combining vertical design rings with horizontal. 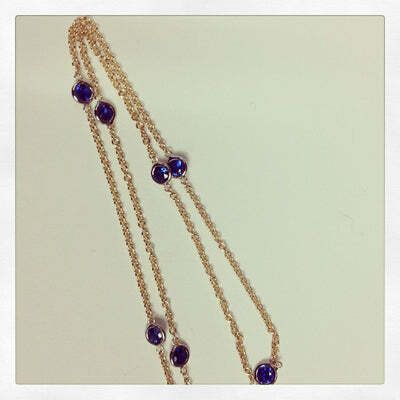 Delicate necklaces are one of my favorite items on our website. You can wear them daily or brighten up your evening attire. I think a single floating pendant is a beautiful drop of brilliance that is essential to any look , even perfect for a bride to wear on the wedding day as well. And of course , my all times favorite diamond station necklaces. We have a variety of them in our showroom and the website with plenty of choices to satisfy everybody’s taste and budget. You can stack bands or bangles for more elevated , complex, eclectic look but each one of our skillfully created jewelry pieces is perfectly beautiful on its own. Please visit our website or come in to our showroom and we can help you find a necklace, ring or a bracelet to finish the look you are going for. We can custom make any jewelry piece for you as well.